PKSB Architects ranked number 6 with $11.9 million with 27 filings in 17 buildings. 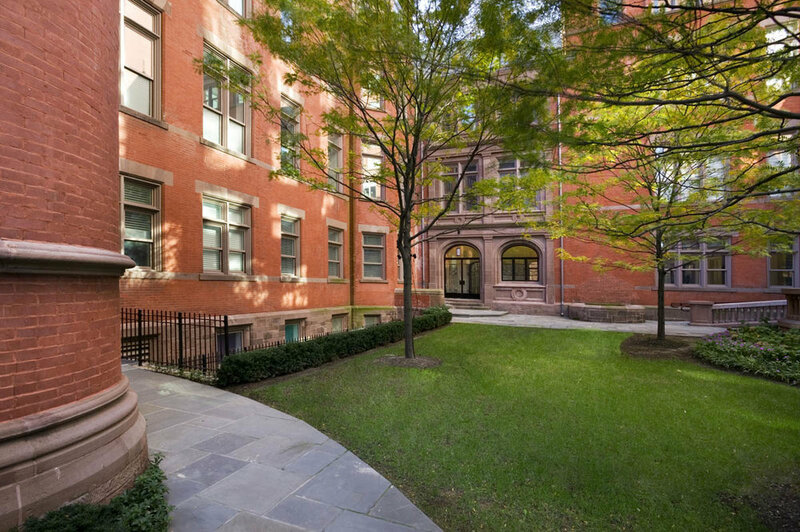 Principal, Sherida Paulsen, a former Landmarks Preservation Commission chair, was the filing representative for all the applications the firm submitted. Currently showing at The Whitney Museum of American Art is Andy Warhol’s - From A to B and Back Again Exhibit. From November 12, 2018 - March 31, 2019. We wanted to share another streetscape transformation recently completed on Howard Street in the SoHo Cast Iron District. PKSB designed a new historically inspired storefront for this notable James Renwick building. The entire cast iron and marble facade was cleaned and repainted and new wood windows were installed at the upper floors. 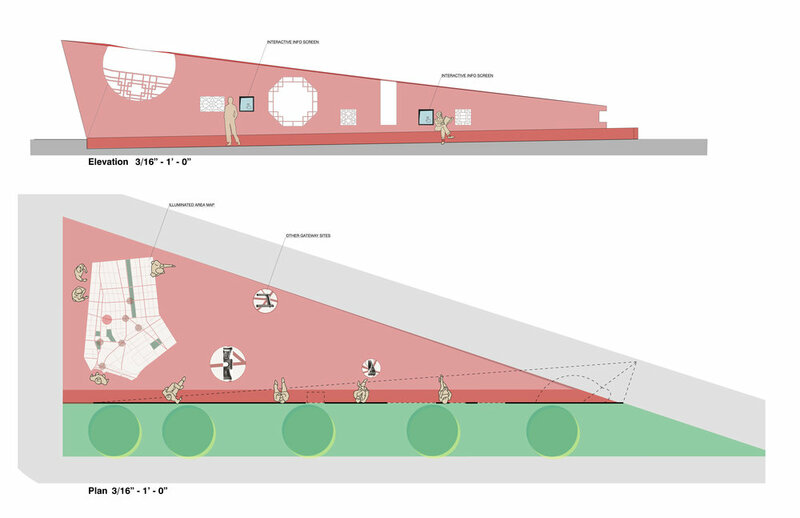 PKSB’s proposal explores the idea of a “gateway” as a threshold between two spaces. 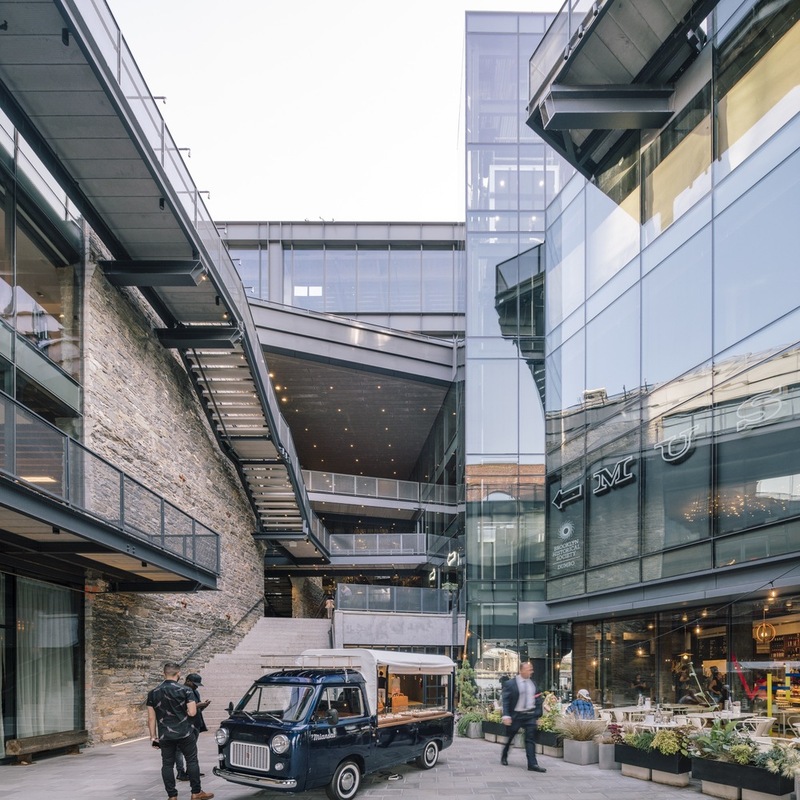 The design explores the form of a single wall and utilizes its double-sided nature to create a multifaceted lens through which the city can be viewed. The form is abstracted from traditional Chinese garden walls which include various openings called “leak windows.” Leak windows are intended to frame a specific view and are each unique in size, shape and patterning. In both the garden setting and in an urban setting, the objects beyond the window are constantly changing. In this sense, the openings become “living pictures” – ever-changing glimpses into the world beyond. The wall’s composition locates openings strategically to frame views to the natural and built environment. Carefully carved slots allow vegetation to grow through, over, and around the wall. In this sense, the wall, like the urban fabric, is constantly changing. Smaller openings in the wall can house digital screens that would be interactive and provide information and history on the immediate neighborhood. 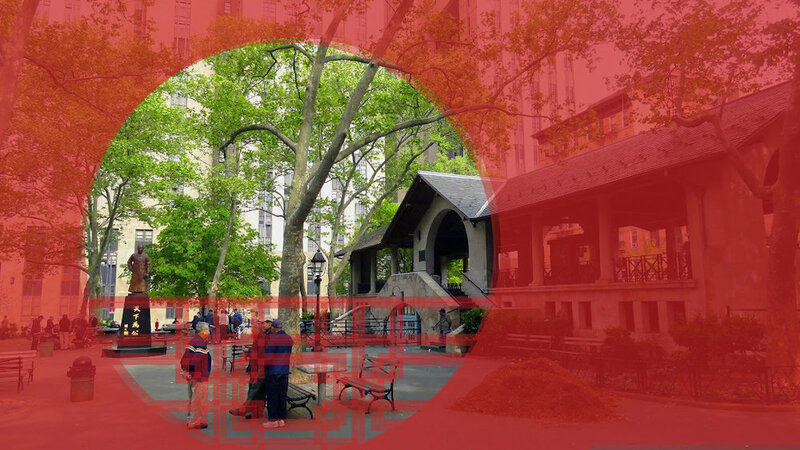 The major urban design move is the creation of an open plaza at the western end of the triangle where the current pavilion sits. 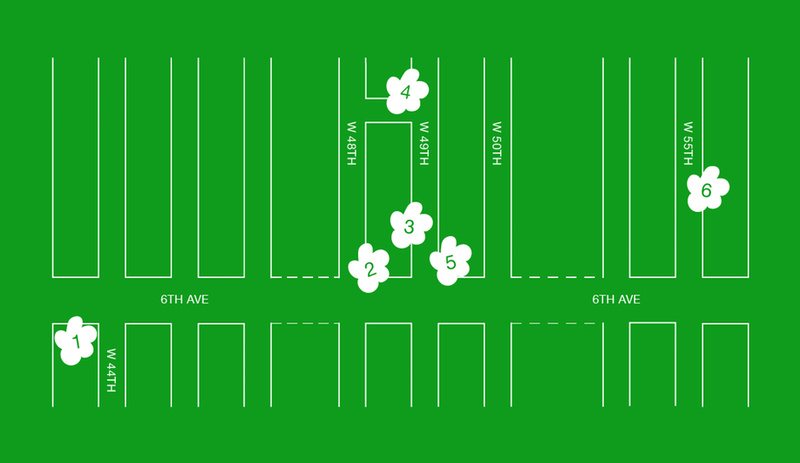 The 5 gingko trees are relocated to the southern edge of the site within a planting strip directly opposite the storefronts on Walker Street. At the widest portion of the plaza, the existing pavilion is removed and replaced with a true pedestrian gathering space. 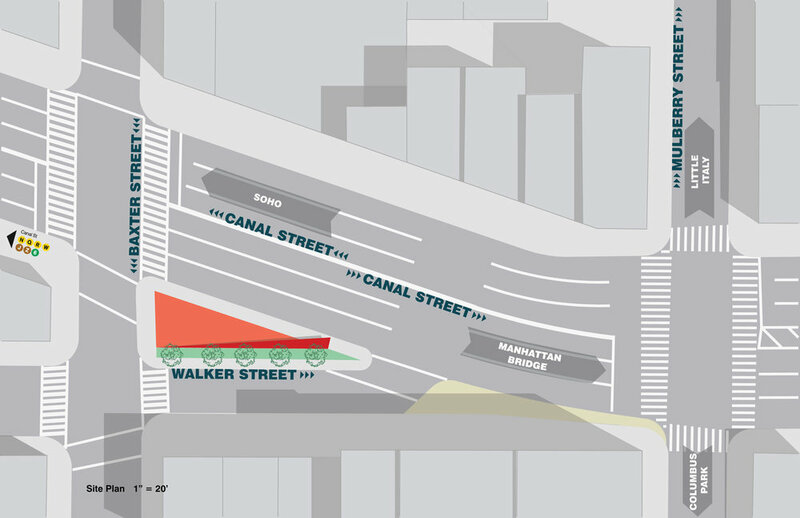 In this location, we propose an interpretive map of the Chinatown/Little Italy area that would be cast into the concrete paving with selective lighting opportunities. The walking surface becomes interactive while maintaining an openness sufficient to accommodate larger groups of people. The key map will highlight the other “gateways” within the area and will provide wayfinding to each. The gateway wall is a folded steel plate structure which can be largely fabricated in smaller sections off-site. 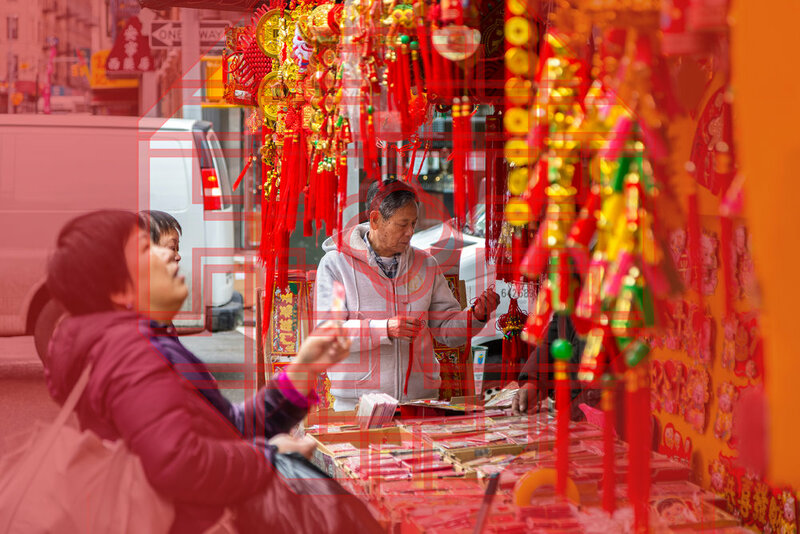 The metal plates would be finished in a high endurance coating with vibrant colors that reference the brightness and vitality found in the surrounding shop fronts. Painted in contrasting colors on either side, the wall transforms depending on the visitor’s viewpoint. Each side provides a unique experience and perspective. Each opening in the wall provides a unique window into the past and present life of the site. The design reminds us that when varying ideas, beliefs, and backgrounds converge, the result can be beautiful and inspirin. 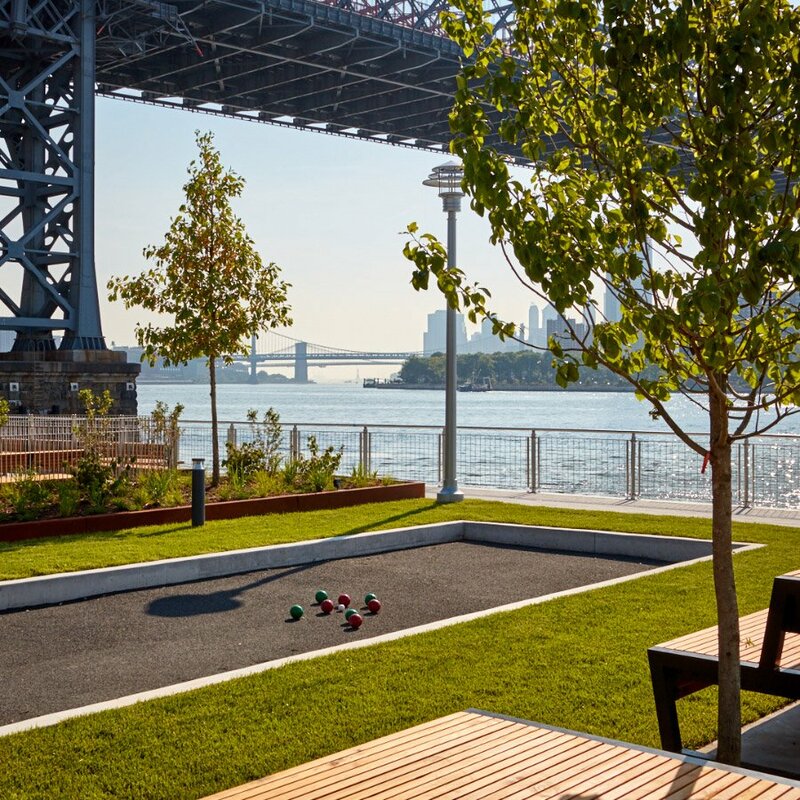 Pier 3 in Brooklyn Bridge Park is now open. 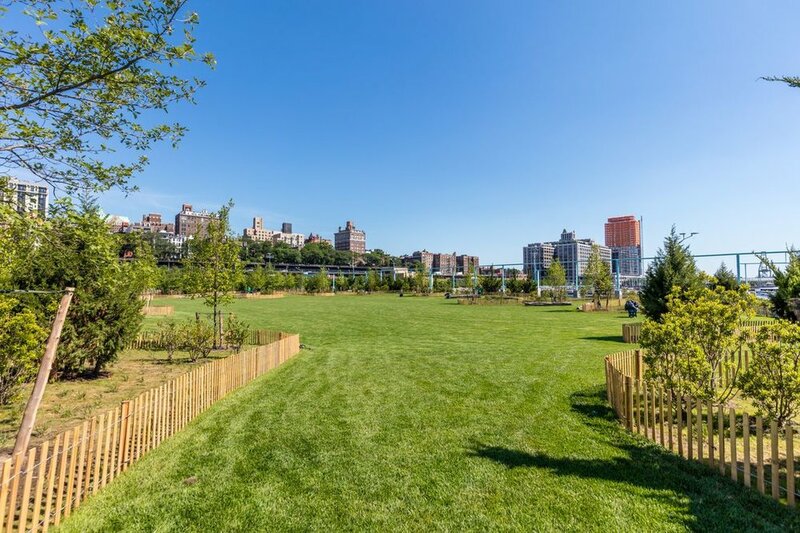 This 84–acre waterfront parkland designed by Michael Van Valkenburgh Associates is almost finished after nearly 20 years in the making. 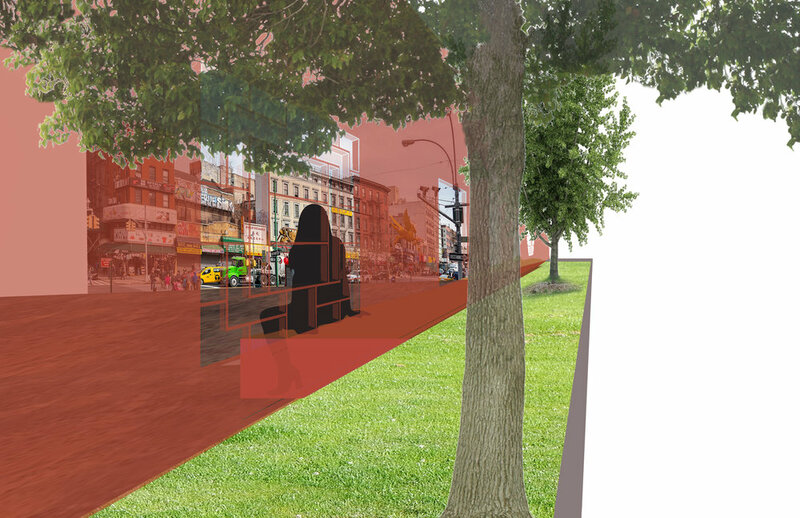 This year’s Winner of the MoMa and MoMa PS1’s annual Young Architects Program goes to Hide & Seek by Jennifer Newsom and Tom Carruthers of Dream The Combine, in collaboration with Clayton Brinkley of Arup, will be on view in MoMa PS1’s courtyard from June 28 - September 3, 2018. Escher: The Exhibition & Experience, an exhibition of over 200 works by the iconic Dutch artist M.C. Esher, is showing at Brooklyn’s Industry City (34-34th Street, Building 6, Brooklyn) from June 8th, 2018 to February 3rd, 2019. The most important and largest exhibitions of M.C. Esher ever presented in the US. 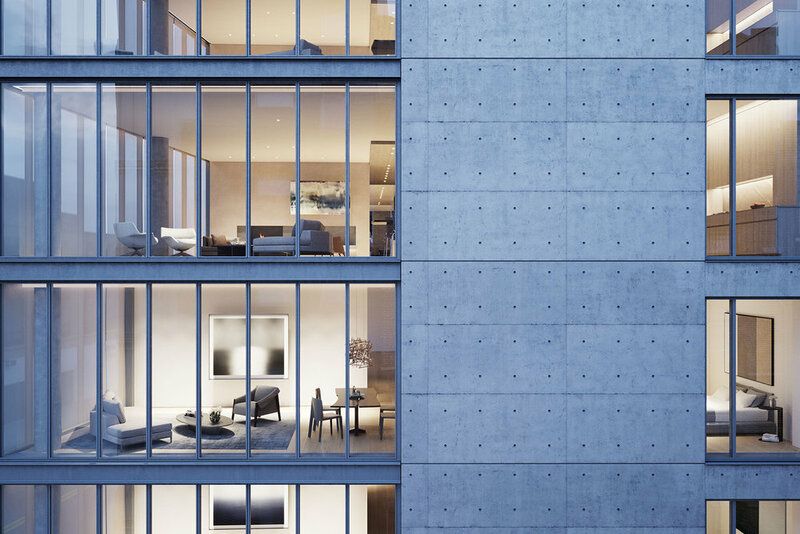 Tadao Ando’s new upcoming residential building on 152 Elizabeth street in New York City. 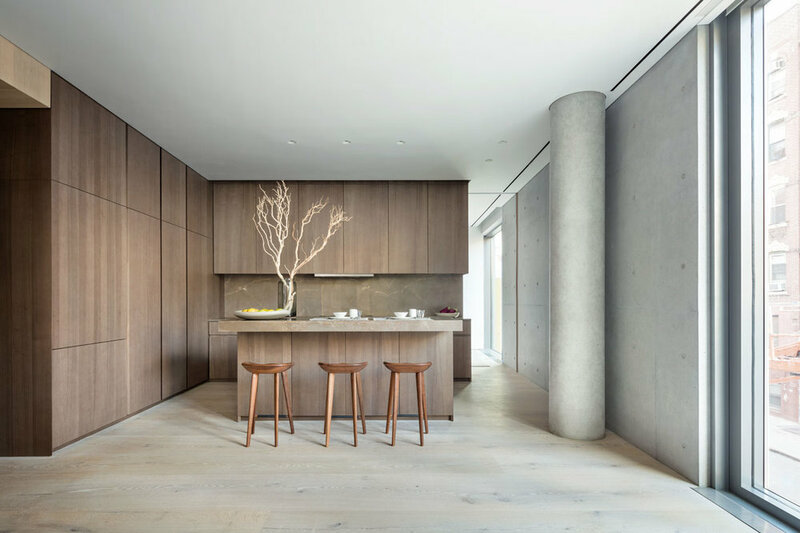 With Interiors by Michael Gabellini. 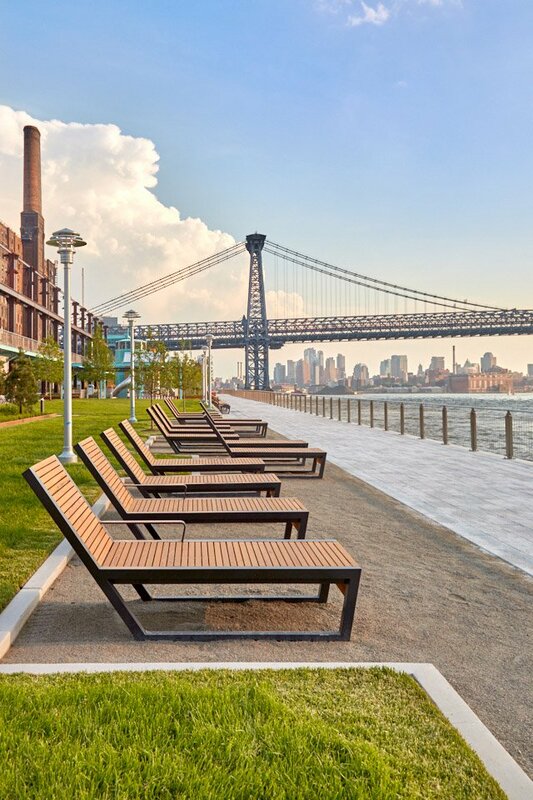 The completed waterfront Domino Park bounding the massive Domino Sugar Factory Development readies for it’s opening to the public this Sunday. 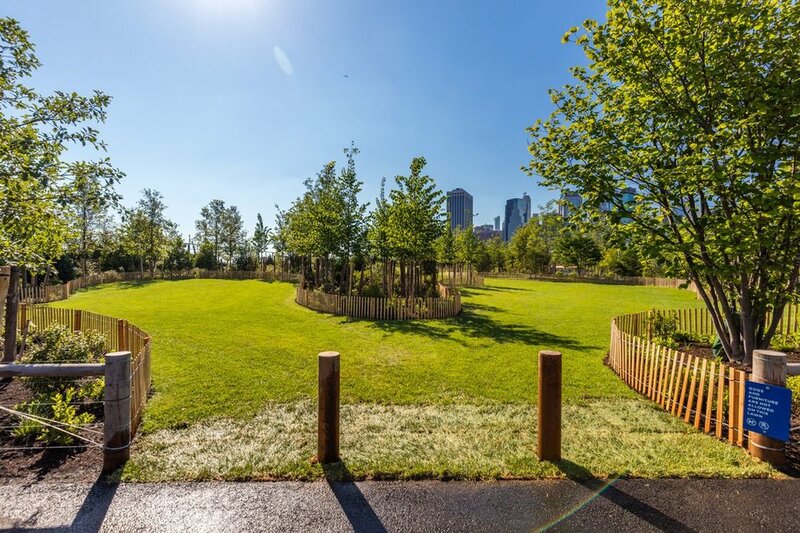 Developer Two Trees Management has released photos of the finished esplanade. 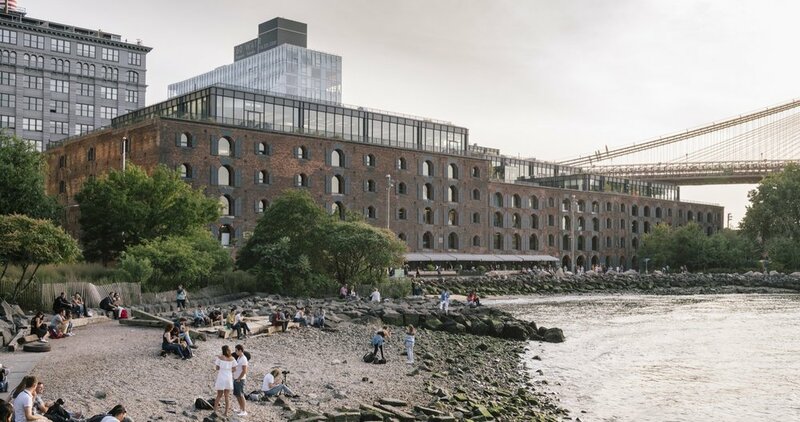 S9 Architecture's award winning mixed use development reimagines a vacant, 19th century warehouse on the DUMBO waterfront as a contemporary creative workplace and community hub. Just opened today at The Metropolitan Museum of Art on Fifth Avenue and The Met Cloisters. Showing from May 10th - October 8th, 2018. New York-based creative studio PLAYLAB, INC. is decking out the glass canyon of Sixth Avenue in Midtown Manhattan with a broad stroke of color in the form of giant, inflatable flowers. 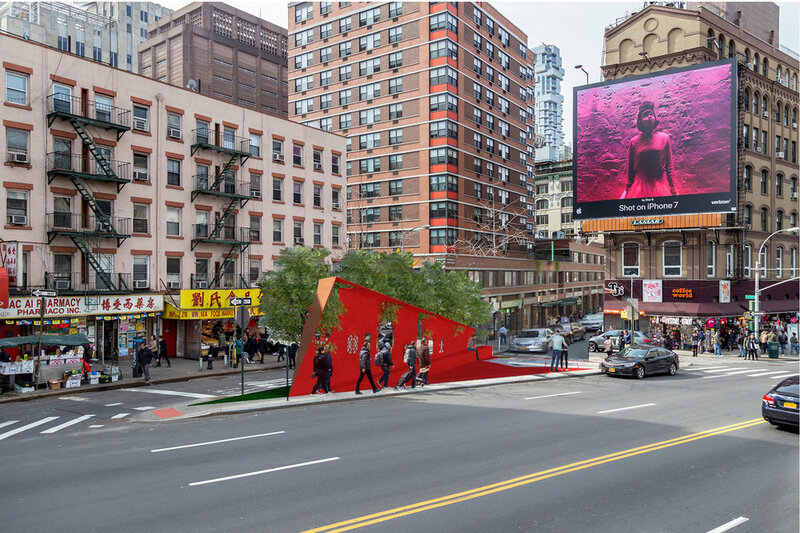 The public art installation is sponsored by the Avenue of the Americas Association. 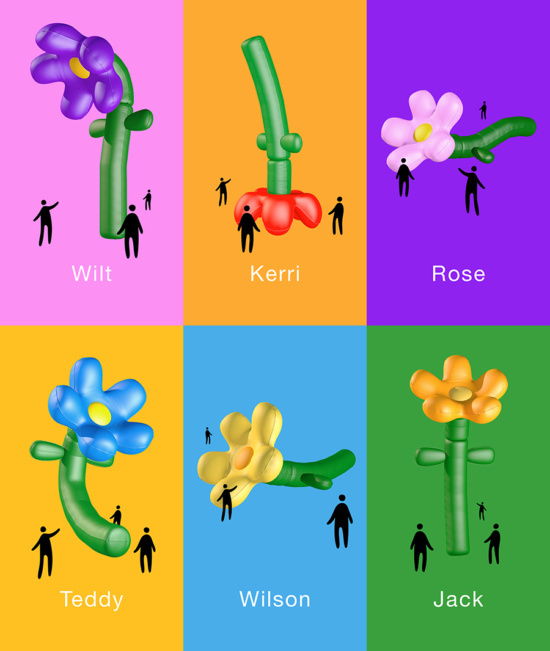 GROWN UP FLOWERS consists of six different inflatable pieces, which PLAYLAB describes as “sitting, lounging, floating, standing tall or even bending down to greet passerbys” between 44th and 55th streets. 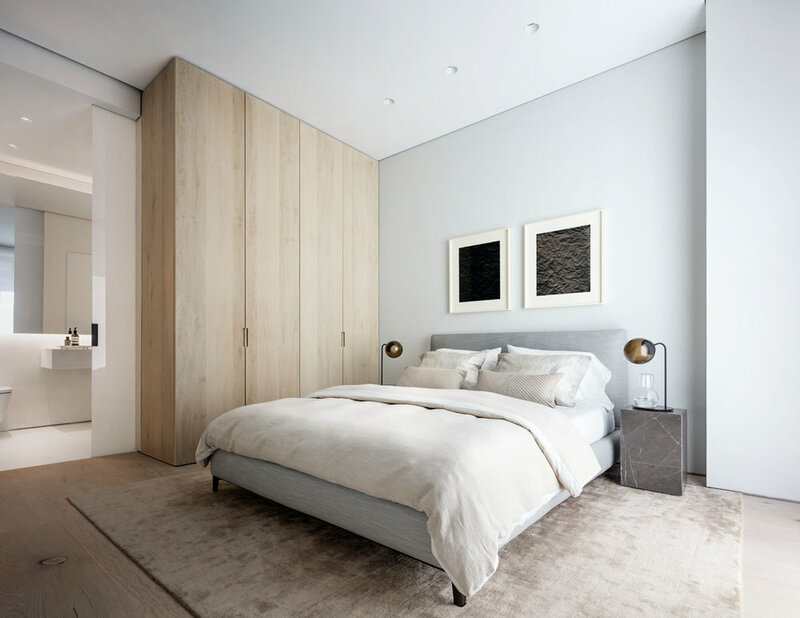 On West 55th Street, in the midst of New York City’s most prestigious clubs and fabled hotels, PKSB transformed turn-of-the-century residential bachelor apartments into a modern hotel. The firm updated antique design elements to give the historic hotel a contemporary feel. 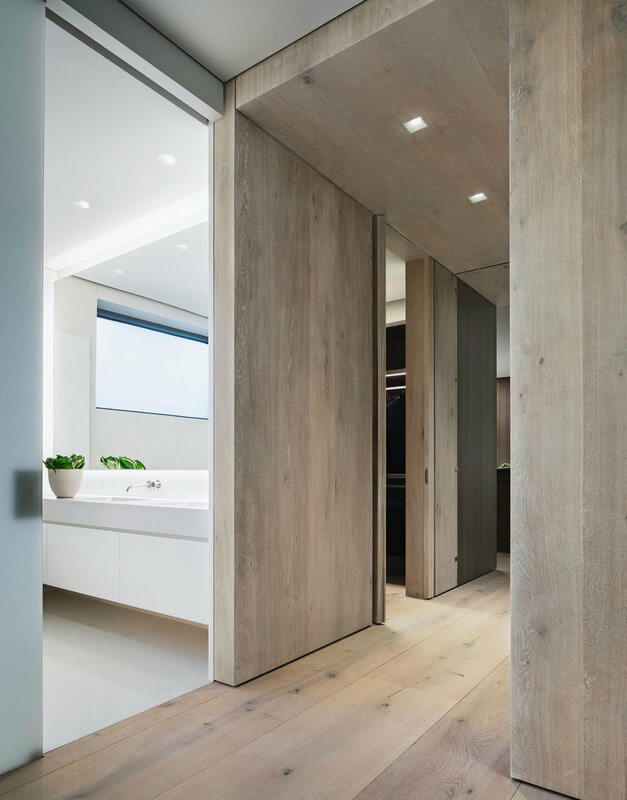 Simple gestures and unexpected materials provided the key to the design. Existing details such as mahogany balconies, marble floors, a cast-iron staircase, coffered ceilings, and decorative plasterwork in the lobby were uncovered and restored. 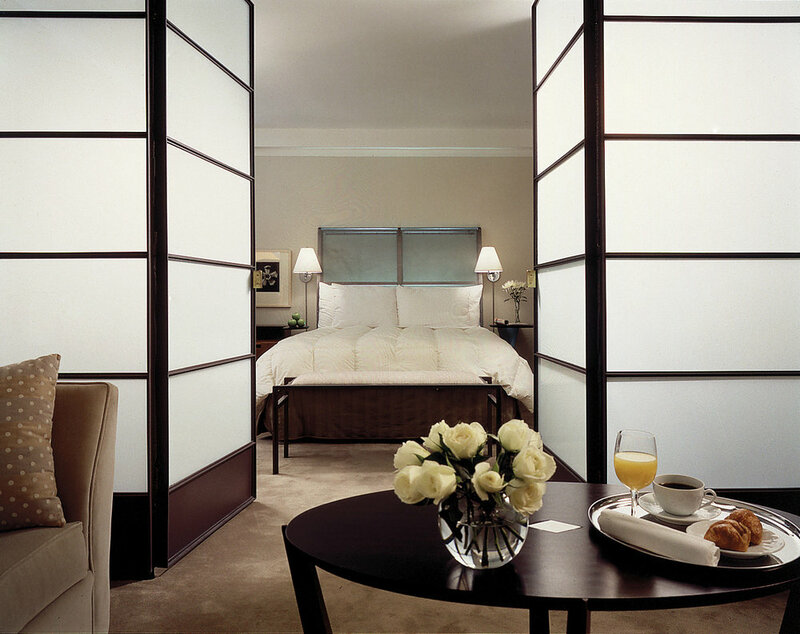 Custom-designed furniture and fixtures provided a refined yet romantic appeal. New bookcases transform a lounge alcove into a library and gallery for etchings. 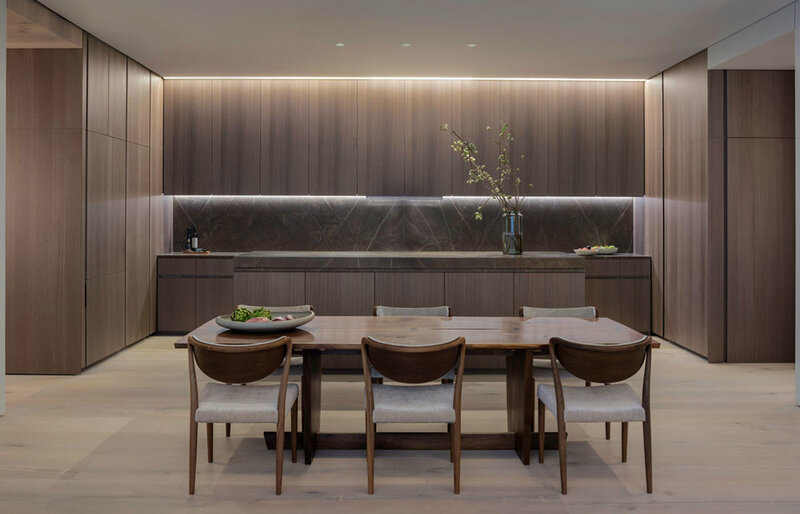 In the morning, breakfast is served as a buffet in the lounge adjoining the entry lobby and, in the evening, the same room is converted into a space for piano and harp recitals. 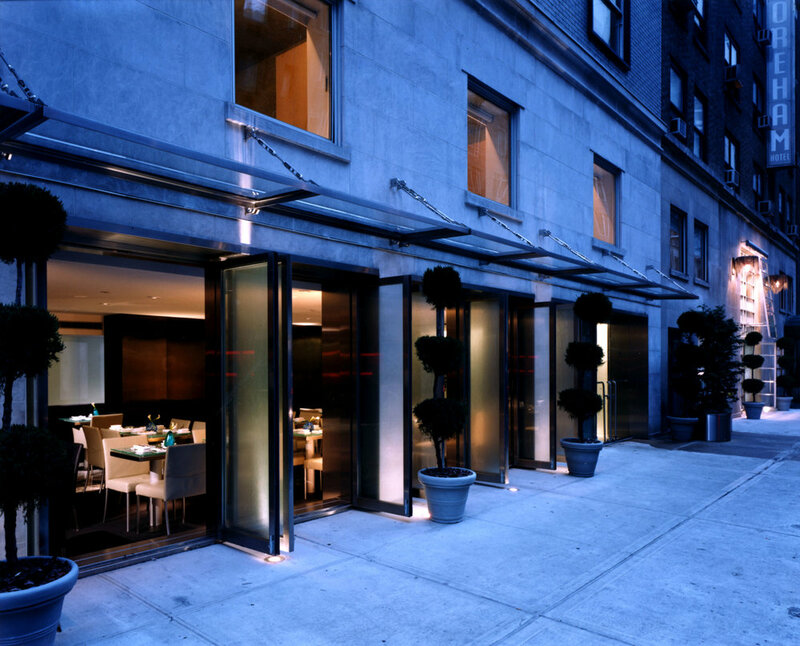 The project was named “Best Hotel” in Interiors Magazine’s award program. Winter Storm Toby in Effect Now. Pictures taken near and around our office on 42nd Street. This Spring, Public Art Fund presents Wind Sculpture (SG) by British-Nigerian artist Yinka Shonibare MBE at Doris C. Freedman Plaza, the southeast entrance to Central Park. On view from March 7 - October 14, 2018. The new addition provides PS101K with a unified identity made of old and new parts. The annex nestles between the existing L-shaped school building and a large play yard. A single-story student dining room completes the U-shape formed by the new and old structures. A large outdoor play area occupies the balance of the site, separated from adjacent residential properties to the south by a high fence. The addition’s modulated façade responds to the residential character of the neighborhood while providing a new entry and identity for the school. The new façade reinterprets various design elements of the existing school building in a modern configuration. A red brick was selected to complement the existing material palette. Lighter cast stone elements highlight new entrances of the addition and recall decorative limestone features of the existing building. At four stories, the addition will match the height of the existing school. In response to the low-rise residential scale of the neighborhood, the addition’s massing is interrupted by setbacks and material variation. The entry from the sidewalk consists of a building inset “carved” from the first floor volume. This “carving” back provides space for a welcoming entry plaza that incorporates wheelchair accessibility and weather protection. The new entry sequence invites access to a generous lobby, and shared public assembly spaces such as the student dining and the existing auditorium beyond. This mixed-use, 100-unit condominium located at 455 Central Park West combines a new 27-story tower with the adaptive reuse of a historically significant landmark. Designed by Charles Coolidge Haight and built by John Jacob Astor in 1884, 455 Central Park West is listed on the National Register of Historic Places. It was originally built as the first cancer hospital in America, later converted to a nursing home and eventually vacated in the early 1970s.